A solitary goal from Pedro helped Barca register another victory in the League and hold on to the five point lead at the top. The scoreline might suggest an equal contest but in reality a rather wasteful Barca side never managed the second goal they deserved. The 1-0 lead meant that the last ten minutes had it share of uncertainity. Barca altogether had 22 shots but managed only one goal. The big question of the night was who would Guardiola prefer Toure or Busquets - and the answer saw where Yaya's future lies, outside teh starting eleven. No any time in my recent history a player has been deliberately kept out of the starting eleven not on merit. Valdes saw a new comination of defense in front of him. 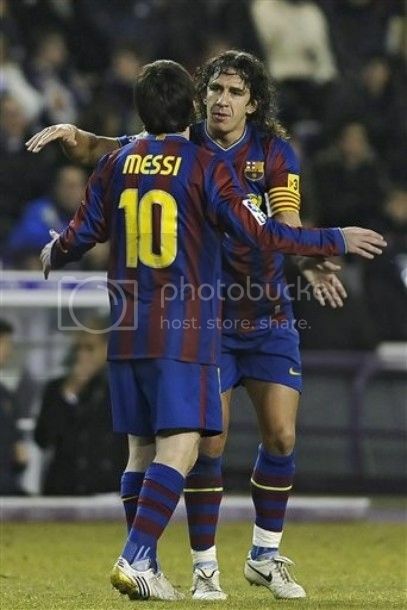 Marquez and Pique made the centre of defense whereas Abidal and Puyol played the full-backs. The midfield saw Iniesta, Xavi and Busquets and the attack line had Messi, Ibra and Pedro, who replaced Henry and did well too. 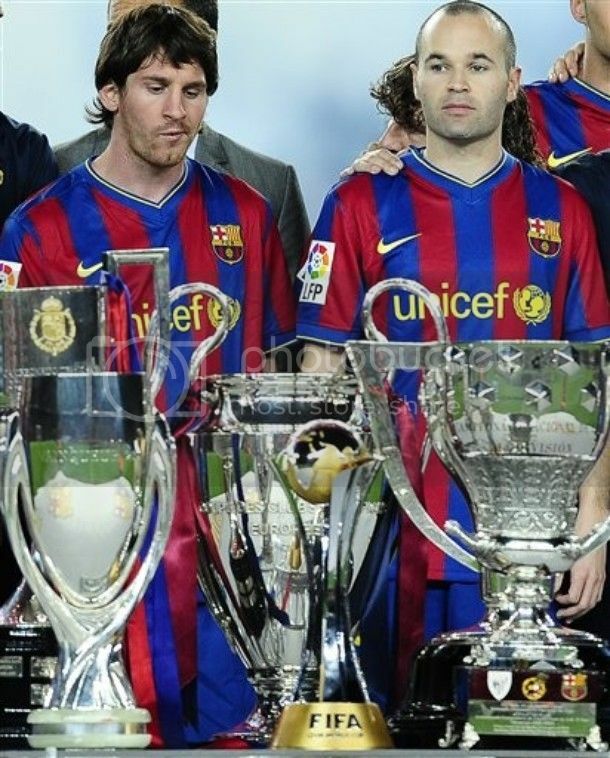 It was as I said in the preview, the trio of Iniesta, Messi and Xavi who ran the show. FC Barcelona will be back tonigh at the place where their dream run started. After begining the last season in the worst possible way in ages, Barca got back to winning ways with a 6-1 thrashing of Gijon at El Molinón. The senario for Barca in the League is different from their last visit. Last season we were looking desperately for a win when we visited here, in contrast We are sitting comfortably at the top with a five point lead this season. But Barca would do good with a good victory here. The Deportivo - Real Madrid match will follow our match. Considering that Real hasn't won at the Riazor for 19 years, it would be great for Barca to putr additional pressure by winning the Gijon match handsomely. As far as the squad is considered Alves is out with injury and Keita will miss the match through suspension. Guardiola has announced the rest of squad which travel to El Molinón - Valdés, Pinto, Txigrinski, Piqué, Márquez, Milito, Puyol, Abidal, Maxwell, Touré, Sergio, Iniesta, Xavi, Messi, Pedro, Bojan, Henry and Ibrahimovic. The controversial selection point once again will be - who will Guardiola pick at defensive midfielder position. Victor Valdes is undoubtedy the most successful goal keeper in FC Barcelona's history. He has won 3 La Liga titles, 2 Champions League titles and had succeeded in kissing the Copa Del Rey trophy and the World Club Championship. He is undoubtedly the No.1 choice for Barca. FC Barcelona management last season tried to find a replacement for Valdes, but in the end decided that he is the best option available for Barca. He has been a part of Spanish Under - 19, Under - 20, Under - 21 squad but is still waiting for his first Spanish National Team call ups. It is quite strange to see such a successful Goal Keeper failing to make into the squad of Spain's Nationa side. Such is the abundance of Goal Keeping talents in the Spanish National side. Spainish Captain Iker Casillas remains undoubtedly the first choice and remains miles ahead of competition. Pepe Reina, a Barca Youth team product remains the second choice and rarely gets a chance due to the dominance of San Iker. Diego Lopez has been the third choice for so long and he is supported by his consistent performnace. The Eto - Ibrahmovic swap was the second biggest thing to happen in the summer. It came through with a lot of skepticism. Especially considering that Ibrahmovic was replacing one of Club's prolific goal scorer - a guy who has score crucial goals in both of Barca's Champions League Triumphs. I myself was not a huge supporter of the deal especially the cost associated with it. But Ibrahmovic did prove his doubters wrong with a series of goal scoring performance at the start of the season. He did lack the speed on the counters but what he had in planty was great form in front of the goal. He till now hasn'y fully integrated to Barca's style but had developed a key understanding with Lionel Messi, which helped him in getting so much goal in the start. His first Clasico saw him winning the match for Barca - which surely have made him more acceptable for majority fo Camp Nou faithfuls. 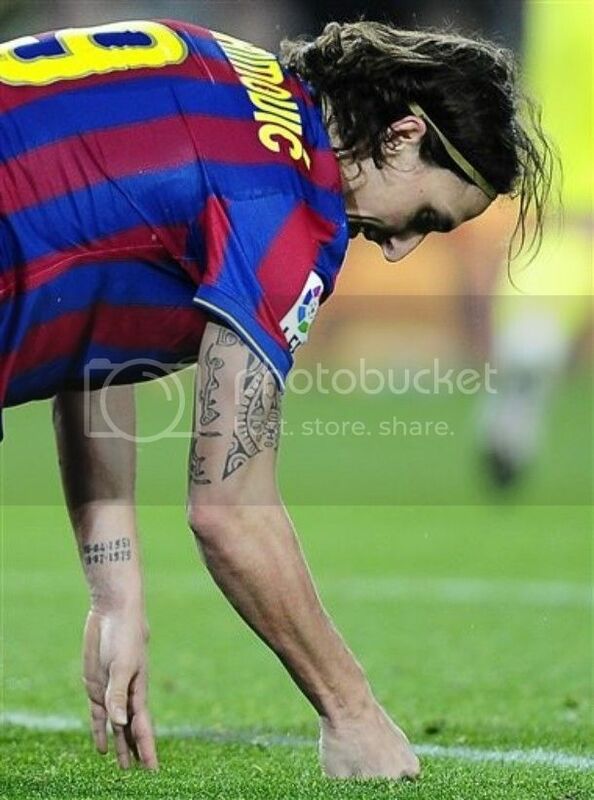 But after a great start to the season, a string of average performance from Ibrahmovic has sow new doubts in Barca fans . FC Barcelona has moved eight points clear on top with an emphatic 3-0 victory at Valladoid. Now the pressure will be on Real Madrid to reduce the lead tonight. Valladoid did trouble Barca early on, but two goals in the span of 90 seconds from Xavi and Alves in the first half made Barca's life easy. 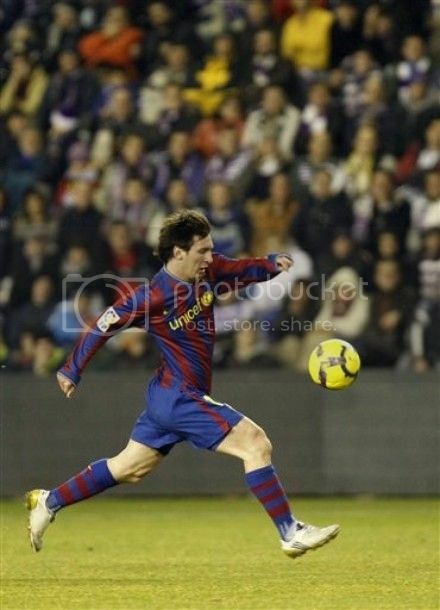 Messi then scored the third in the second half to round off the tally. With this victory Barca has completed the first half of the season undefeated, which in itself is a club record. Guardiola decided to include Keita as the defensive midfielder alongside the attacking options of Xavi and Iniesta. The forward line-up bore a regular look-up with Messi, Henry and Ibra. The defense had Alves, Puyol, Pique and Abidal infront of Valdes. FC Barcelona will be looking to extend thei lead on top to eight points tonight and put immense pressure on Real Madrid who will be playing Malaga tomorrow. Seydou Keita has returned to the 19 men squad announced by Guardiola - Valdés, Pinto, Alves, Cygrynskiy, Milito, Márquez, Puyol, Piqué, Abidal, Maxwell, Jonathan, Xavi, Iniesta, Keita, Henry, Bojan, Pedro, Messi and Ibrahimovic. Busquets is out with injury and Puyol also may not feature as he has just resumed training. With Busquets out and Toure away at Angola, the defensive midfielder position is a matter of concern for Guardiola. Seydou Keita can feature in that role, but it is not his natural role and that leaves only Marquez for the position. Valladoid is currently lying in 17th position and their form this season should not be a point of concern. They only managed to win three of their games till now but they had drawn eight matches and that could be crucial for Barca. We don't want anything other than three points from this encounter. Find the rest of ranking here - All time Club World Ranking.Joseph Guardiola is been placed at 41st position in the All Time World Coach ranking for the same period. Alex Ferguson tops the list, with Lippi, Wenger and Hiddink following. Victor Valdes is placed at 54th position in the Goal Keepers ranking. Buffon tops the list followed by Iker Casillas. An excellent second half performance saw Barca extract revenge on Sevilla for the Copa Del Rey dissappointment with a sublime 4-0 victory. Earlier on the night Real Madrid were defeated by Athletic Bilbao and that means with this victory we have opened a lead of five points at the top. Barca opened the account courtesy of an own goal by Escude, Pedro then doubled the lead and in the last five minutes Messi grabbed two to complete the tally. With his first goal of the night Messi completed the 100 goals for Barca and is now the youngest player in the club's history to achieve the same. Guardiola made only one change with the team which featured in the second leg of Copa Del Rey match - Valdes returned as goal keeper. The defense had Alves, Puyol, Pique and Abidal. The midfield consisted of Xavi, Iniesta and Busquets. The attacking trio also remained unchenged with Messi, Ibra and Henry. After being the second best in the Copa Del Rey clash against Sevilla, this is the best time for Barca to regain focus on the league. Sevilla eliminated Barca in the Copa Del Rey and Barca will be out for revenge tonight. The Copa Del Rey tie was actually lost at home so barca will be looking to correct that with a glorious victory against Sevilla at home. Alves who has missed training after the Copa Del Rey match has returned back to training. That means Guardiola will have the full squad at his disposal and there won't be any doubt that he will start with his best eleven available for tonight's clash. Iniesta's return to form is a very good news for Barca and we can expect him to continue on his great form in tonight's match. Lionel Messi his just one goal away from the 100 goal mark for Barca and he should be motivated to complete the feet tonight infront of home crowd. A solitary goal victory was not good enough for Barca as the two home goals they conceded proved crucial. Xavi's strike in the second half had given Barca a deserving lead, but some poor finishing from strikers and some great goal keeping by Sevilla custodian Palop made sure that Barca never got the all important second goal. This lose is the first of its kind after Guardiola took over as coach. Guardiola started his impressive campaign of 100 percent success with six trophies with the Copa Del Rey and it is ironic that it ended at the same competition. 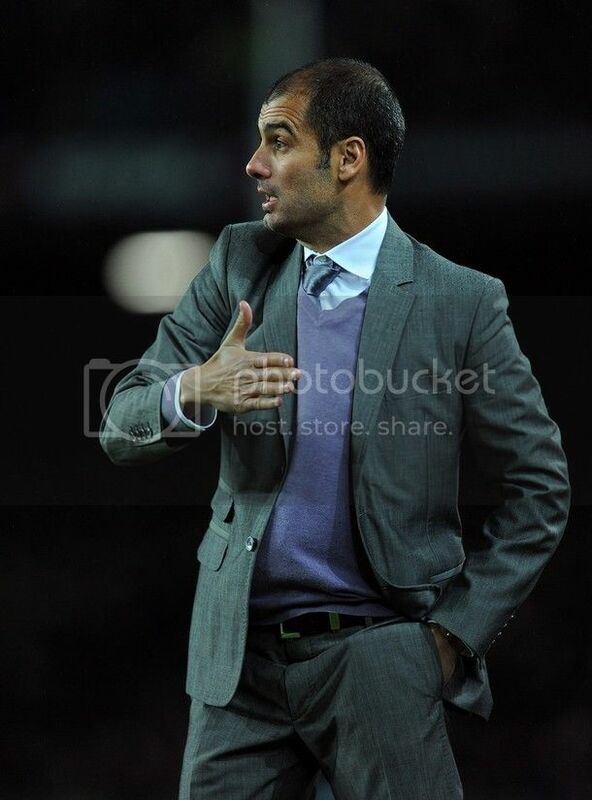 Guardiola made his intention clear with selcecting the best eleven available to him. Pinto was the only non-regualr. The defense had Alves, Pique, Puyol and Abidal. The midfield did saw Iniesta and Xavi partnering Busquets. The attack line was back to its normal formation of Messi, Ibra and Henry. FC Barcelona need a miracle of sort to overcome their first leg deficit of 2-1 at the Ramón Sánchez Pizjuán stadium in Sevilla. Our last visit to the same stadium resulted in a 3-0 victory and a somewhat same result will see us through. But then the Barca side has not yet hit the form of last season side. To make matters worse this is a crunch match where we have to overturn a deficit. Last season we never faced any situation like this. So this will be a new test for the squad. There are some positives going into the game - Messi looks in top form, Iniesta looked wonderful in last game with his turn and twists and even over-shadowing Xavi by a great distance and Bojan did well and looks like improving with each game he starts. Add to this the fact that Xavi never have two bad games in a row, we will be able to pose a great challenge. The problem for Barca is the two away goals they have conceded. That means we have to play a near perfect game without conceding a single goal, a fact which will be so tough for Barca. Sevilla's recent home games did end up in defeats for the home side, but our away form this season also has been far from perfect. FC Barcelona surpirisingly lost the first leg of Copa Del Rey quarterfinals at home to an under strength Sevilla side. FC Barcelona now face a near impossible task of winning the second leg away from home with atleast two goals clear to proceed to the next game. Two matches into the new year, Barca is still looking for their first win of the year. Diego Capel always has been a head-ache for Barca and he opened the scoring for Sevilla. Ibrahmovic equalised but Sevilla restored the lead from an Alvaro Negredo penalty shortly. Guardiola brought in a number of fringe players and they failed big time to gel together. The only silver lining was the return of Gabi Milito into action and he looked quite comfortable in his position. 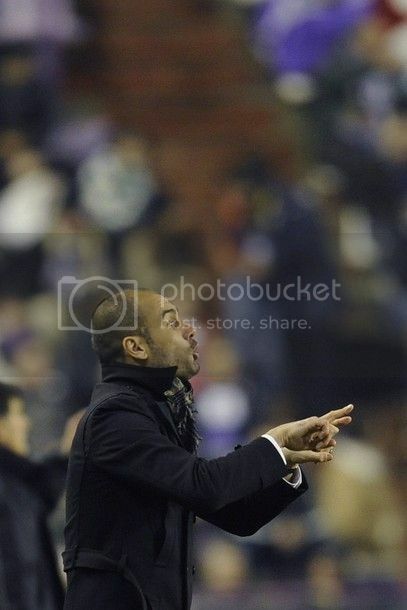 Guardiola as expected gave Pinto the start in the Copa Del Rey match. The defense had Alves, Chygrynskiy, Milito and Maxwell made up the defense. 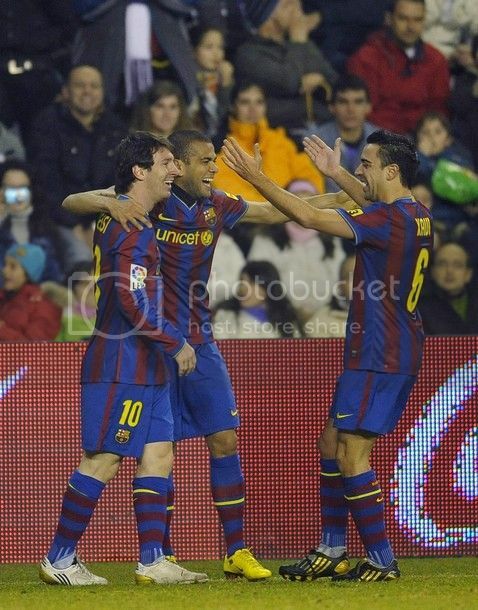 The midfield had Thiago Alcantara, Marquez and Iniesta. The forward line-up saw Messi, Bojan and Pedro joining hand together. Copa Del Rey swings back to action with Sevilla's visit to Nou Camp tonight. FC barcelona will also be looking to put back their game back in track after a not so satisfactory draw against Villareal. FC Barcelona met SWevilla in the same competition two years ago and the Catalan outfit went through on away goal. The last meeting of these two sides took place at Sevilla with the magician Iniesta destroying opponent single handedly. With the second leg being played in Sevilla, Barca would definitely love to take a good advantage into that game. Sevilla is missing some of their key players like Fabiano, Kanoute, Zokora and Acosta; Barca may not get a better chance to take an initiative. Sevilla is visting Barca after two successive defeat at the hands of Getafe and Atletico. For the second time in as much as visit, Villareal maged to take a point away from Nou Camp. Villareal's away form has been very poor this season, but that didn't stop them drawing and almost winnin g the match in the end. With this win Barca has moved clear of Real Madrid by three points, but the Madrid based side can equal Barca in points if they manage to win tonight at Osasuna. When Pedro put Barca in the lead in the 7th minute , we all expected to have a dominant match, but Villareal equalised through David Fuster in the start of second half. The game was a very open one with both teams having good oppurtunity to win the game. As expected Guardiola decided on a attacking line-up of Pedro, Ibra and Henry. The midfield had a surprise with Johnathan dos Santos making his debut along with Xavi and Busquets. Everyone expected Guardiola to start with Iniesta but then it may not have been ideal to start with Iniesta after an injury lay-off. The defense also looked in the expected format - Abidal, Pique, Puyol, and Alves. Lionel Messi was on the stands watching the match. FC Barcelona will be returning back to La Liga action tonight with Villareal visiting Camp Nou. Lionel Messi will not feature in tonight's encounter as he was given an extended holiday. Yaya Toure has already left for African nations Cup, eventhough it is clear that Guardiola will not have used him even if he is available. So it is better for Toure to get some playing time. Keita and Jeffren has also down with injury. One good news is that Andres Iniesta has been declared fit to play in this match. Last season in the corresponding ficture Iniesta was injured and Barca ended drawing the match 3-3, find the report here - Title Party Postponed. Villareal always have been a tough opponennt for Barca. In total encounter between these two teams, the honours now remain shared with eight wins each. What makes it more interesting is that in ten visit to Camp Nou, they have only lost four times. 2009 has ended and 2010 has begun. For every Barca fan 2009 will be a special year. It was the most perfect year in the history of the club. With the triumphs of 2009, we enter 2010 with greater hope for a year as good as the last one. Repeating 2009's success would be very difficult but repeating the style in which we played is very much possible. We have topped our Champions League group, is currently the top in the league and is true and well alive in Copa Del Rey. But there is no doubt that we are nowhere playing like last season. The pace has gone off a bit from last season's game and many players are not yet hit the top gear. But still we are very much alive in all teh competition shows how good a squad we have. You cannot ask for a much tougher month to start an year like the one we have. We will be playing some of the best teams in the league in January meanwhile Real Madrid has a much easier opponents in the month of January. With Real Madrid hitting form Barca cannot afford to concede an inch to their main rival this month. Getting knocked out of Cop Del Rey will work in favour of Real Madrid in January as they have to play less number of games.